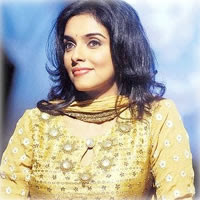 Asin the darling of Kollywood has made her presence felt in Bollywood as well with her maiden venture Gajini. Ever since, the actress has been showered with awards. The recent feather in her cap is the “Lux-Sabse Tez Sitara” award for an upcoming and promising star in the film industry. It is worth a note here that Asin had also received the most coveted Kalaimamani award from the government of Tamil Nadu. She is the most sought after star not only for films but also for various endorsements.